In only a few weeks our team at Monk’s completely transformed this Morristown, NJ home’s bathroom. Removing the tub, increasing the shower size, and installing a new vanity are only a few of the upgrades that we made. The owners of this home wanted to remove the bathroom’s current tub to make more room for a larger shower. Our team at Monk’s carefully took out the bath tub. The bathroom’s current sink was also removed from the main bathroom area. Once the sink was taken out our team installed a brand new double vanity. A brand new standard make-up vanity desk was also brought into the newly updated space. The new shower was expertly tiled by our skilled team of workers. A custom niche was also crafted into the shower. 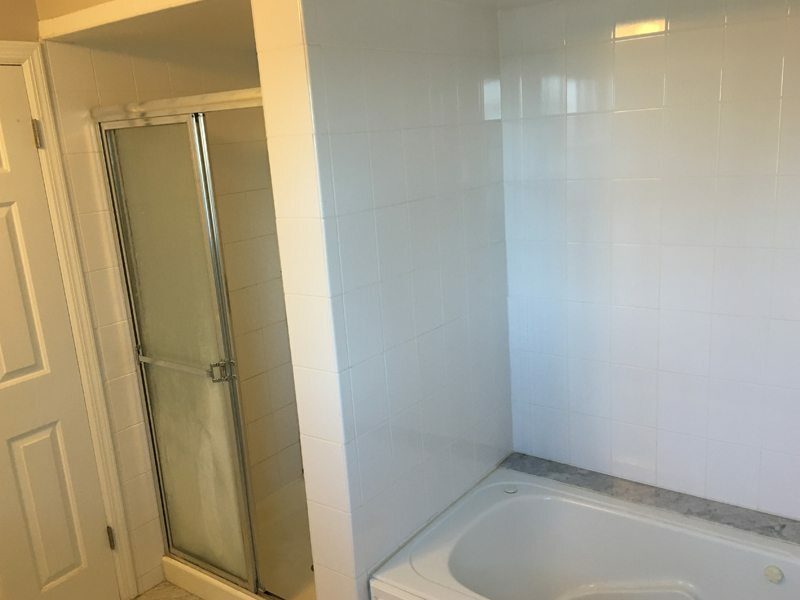 The bathroom’s shower panels were fixed by our team so that there would be no shower door. In just over three weeks our team at Monk’s had completely updated this home’s bathroom. More Projects: bathroom remodel in Chatham, NJ 07928, custom built in shower bench, bathroom wainscoting. 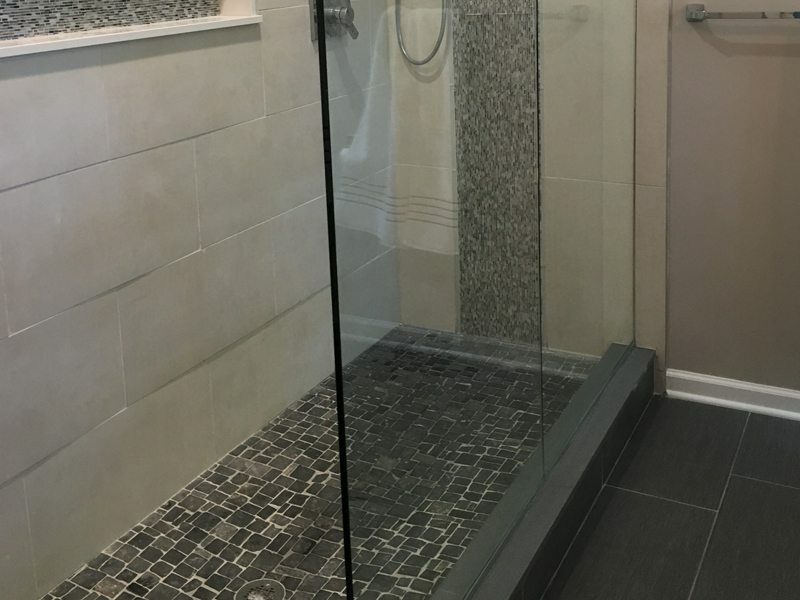 If you are considering remodeling your bathroom we would like the opportunity to tell you why we think we are the best bathroom remodeling contractor in Morristown, NJ 07960.